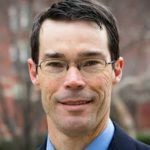 Daniel Webster, Professor of Health Policy and Management at the Johns Hopkins Bloomberg School of Public Health, is an expert in firearm policy, youth gun acquisition and carrying, intimate partner violence, adolescent violence prevention and the prevention of gun violence. Webster serves as the Director of the Johns Hopkins Center for Gun Policy and Research, Deputy Director for Research for the Johns Hopkins Center for the Prevention of Youth Violence and core faculty of the Johns Hopkins Center for Injury Research and Policy. He has received awards from organizations including American Public Health Association, The Baltimore Sun, Delta Omega Honorary Society in Public Health and the Maryland Network Against Domestic Violence. He has published over 100 articles in scholarly journals and is the co-editor of Reducing Gun Violence in America: Informing Policy with Evidence and Analysis (Johns Hopkins University Press, 2013). Webster received his Sc.D. from Johns Hopkins Bloomberg School of Public Health and M.P.H. from the University of Michigan.